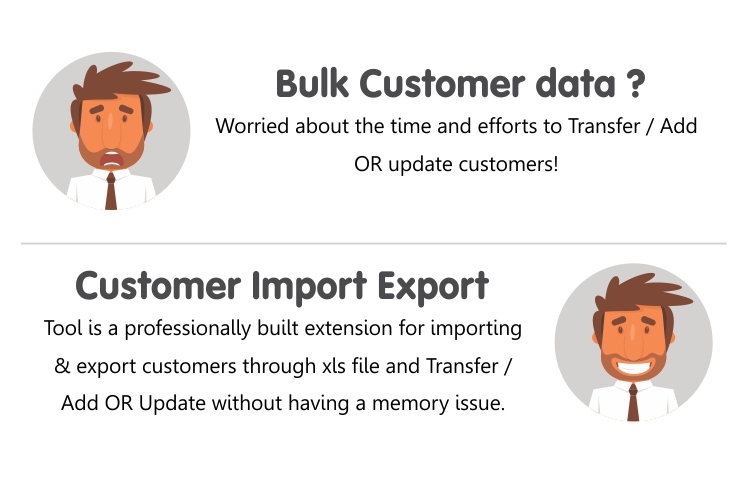 The tool is a professionally built extension for import & export customers through XSL file and Transfer / Add OR Update Customers without having a memory issue. This extension can migrate customers from older to newest Opencart. You can import/export customers in many formats like XLS, XLSX, CSV, XML.